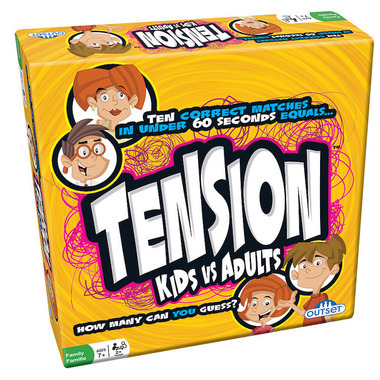 Tension Kids vs. Adultsis a family edition of Tension. Kids battle the adults in this family themed version of the classic naming game. Beware, the kids may know more than you think they do! Outset Media Pickles to Penguins!